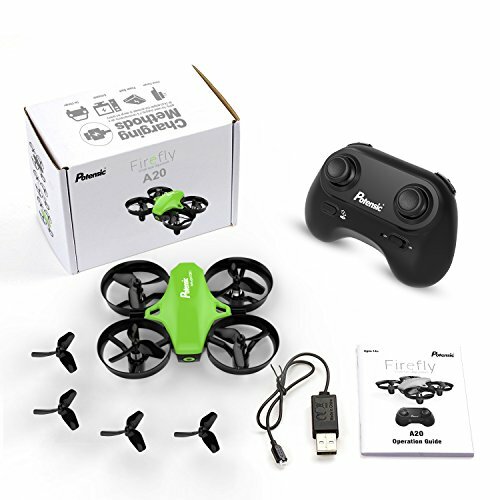 The Potensic A20 mini drone (See Price) is among one of the popular choice for beginners. But exactly what it makes it a great choice? When it comes to shopping for the best starter drone, you want to consider these key factors: durability, ease of use and of course affordability. Likewise, there are many excellent training drones in fact we even recommend X12 Drone (See Price), IN 1802 Drone (See Price) and DROCON Ninja FPV (See Price). The Potensic A2o drone makes to the market as one of the best selling and a hot choice among retailers. So why is people interested in owning Potensic A20 mini drone when you can just go ahead and buy expensive drones such as Mavic Air (See Price) and Phantom 4 Pro (See Price) that features beginner mode? For a certain reason, we only recommend that first time flyers should go with toy-grade drones under $50. If you have extra cash to spend, drones under $100 also are a great choice. Afterall, it is about making smart investment by developing your pilot skill first before flying high-graded drones. Read more to find out if the Potensic A20 mini Drone is the right choice for you. On our first impression, the size and design appears to strike similar style to a rising star, HS210 Rogue (See Price) and JJRC H36 (See Price). Regardless, the Potensic A20 mini drone comes in many different colors. You can choose red, green, black, blue or even American flag style if you are feeling patriotic. 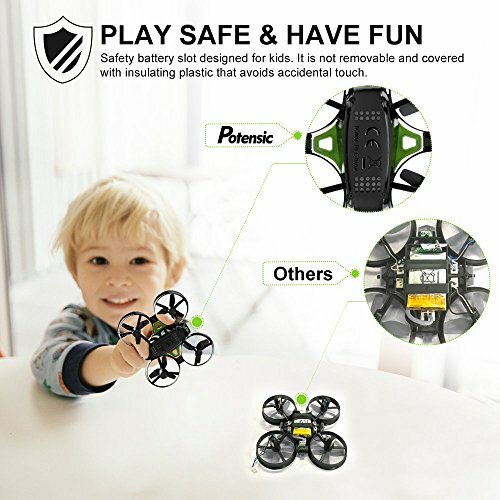 Perhaps one of the main factor that sets the Potensic A20 mini drone apart from its competitors is how safe it is. This little bird is the perfect toy for adults, kids and everyone. Thanks to unique design, the battery is insulated with plastic which is safe to touch. To recharge the battery, simply plug it using a USB charger and it will be done less than half hour. Furthermore, the propellers are protected by guards. It is especially important design feature to have because not only it absorbs the shock and minimizing the damage. It also increases the durability of drone that really gives you the most value out of what it is priced for. Lastly, the Potensic A20 mini drone includes LED lights. They provides visual positioning for both during day and night flights. Flying the drone in the dark room is quite fun, so it doesn’t definitely have to stop right there. The Potensic A20 mini drone excels at performance when it comes to flying indoor. With speed mode feature, beginners can easily learn the rope of how to fly a drone. On default, the speed setting will be on the lowest. Once you have developed and hone your piloting skill, you can choose to challenge yourself. However, this little bird doesn’t make a great outdoor drone. Because of its small size that makes it quite easy to get blown away by wind. As general rule of thumb, we only recommend flying the drone when the weather conditions is perfect. 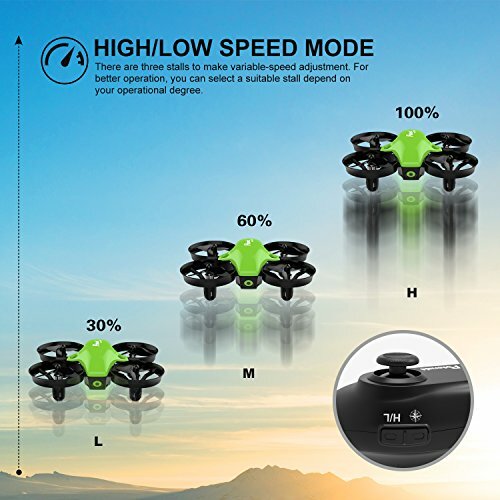 Two other major factors that contributes toward its performance is the altitude hold function and headless mode. 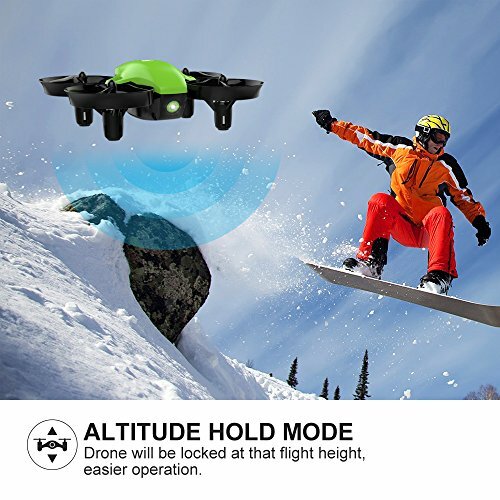 By default, the altitude hold function helps keep the drone stable and maintain its height. Thus, allowing beginners to focus more on the movement and less on height. 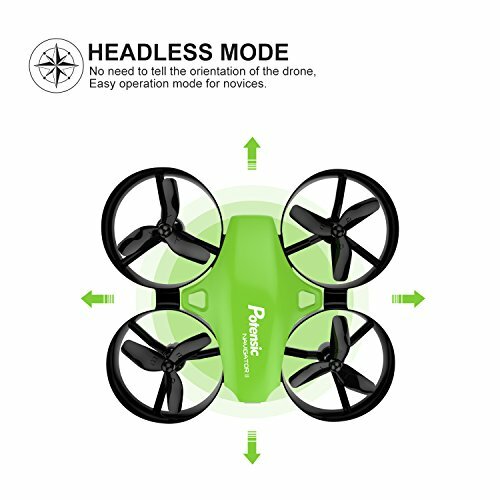 Lastly, the headless mode feature allows beginners to switch the control orientation from drone itself to the control levers. Which means you can fly the drone in the direction you are pushing the levers at instead of where it heads based on face position. And, of course it also can perform 360-degree flip to awe your audience. In the end, we think the Potensic A20 mini drone is quite a great quadcopter for beginners. Keep it in your mind that while it looks like it might have a built-in camera. It doesn’t have a camera so the feature is rather limited. 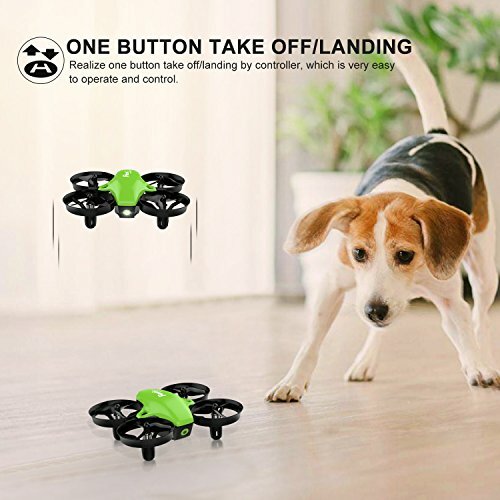 But at this price range, you get a drone that is made for training. 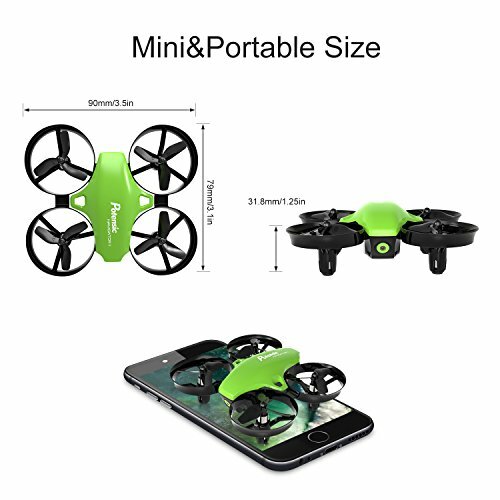 If you simply want to have a drone for training, then look no further because the Potensic A20 mini drone is the right pick. 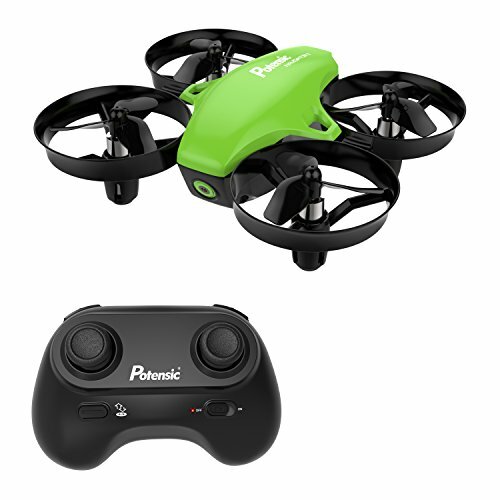 The Potensic Mini A20 Drone have shown to be a potential beginner drone for starters. Thank to its unique design appearance and a very simple remote controller. Most of the functions are focused on training beginners how to fly a drone and developing piloting skill. It is the ultimate drone for everyone from adults, kids to hobbyists. ATTOP XT-1 Review: Another DJI Mavic Pro Clone For Less Than $50! ?